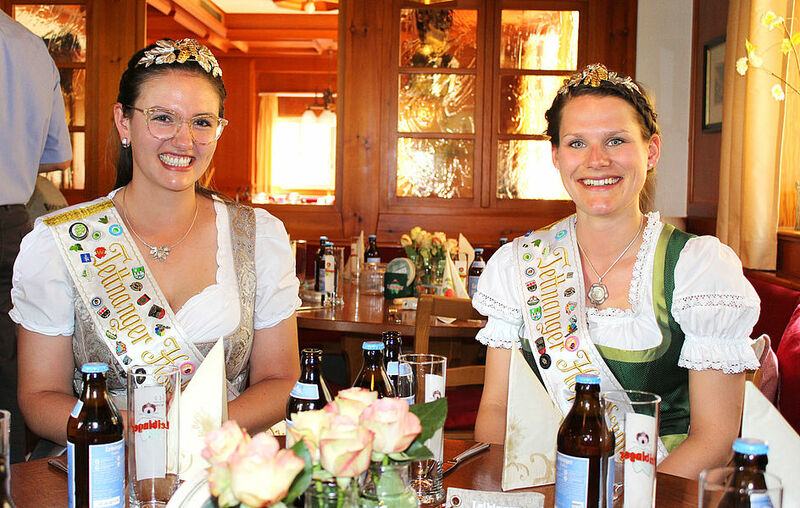 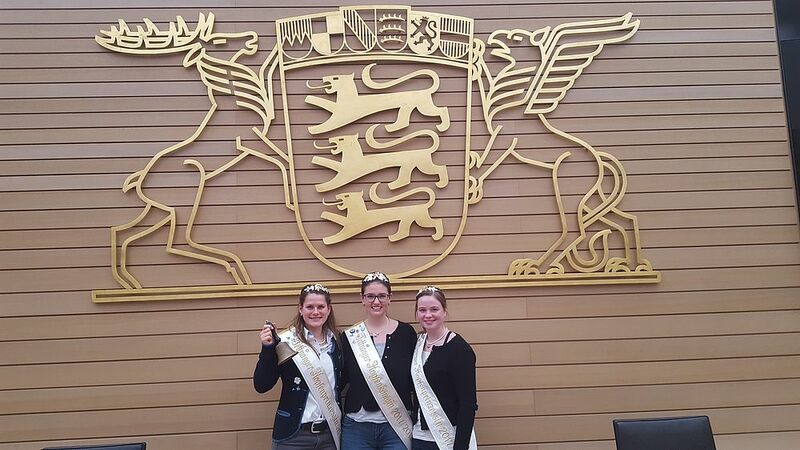 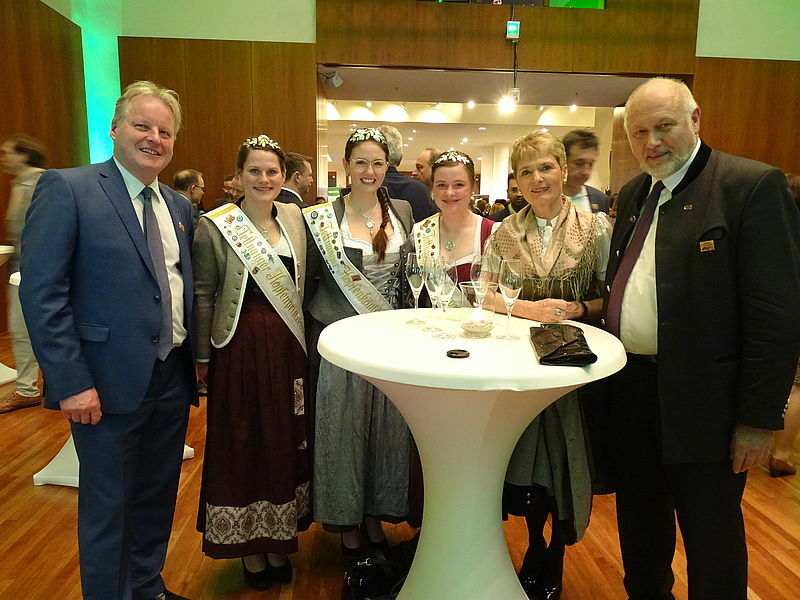 Shown here is the Tettnang Royal Family, newly elected on 21 October 2017 (pictured from left): Lena Heilig (Tettnang Hop Princess), Teresa Locher (Tettnang Hop Queen) and Kathrin Arnegger (Tettnang Hop Princess). 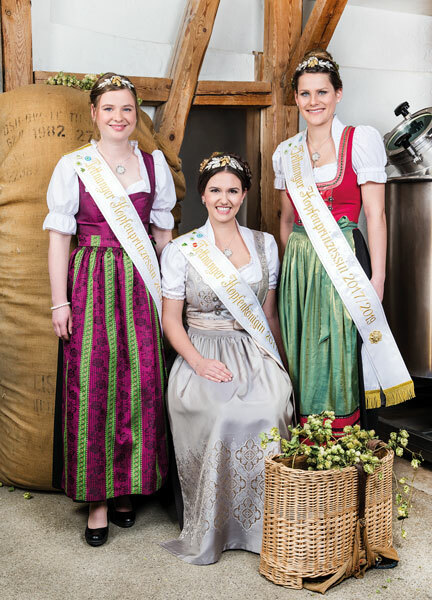 The Tettnang Royal Family is elected every two years (one hop queen and two princesses). 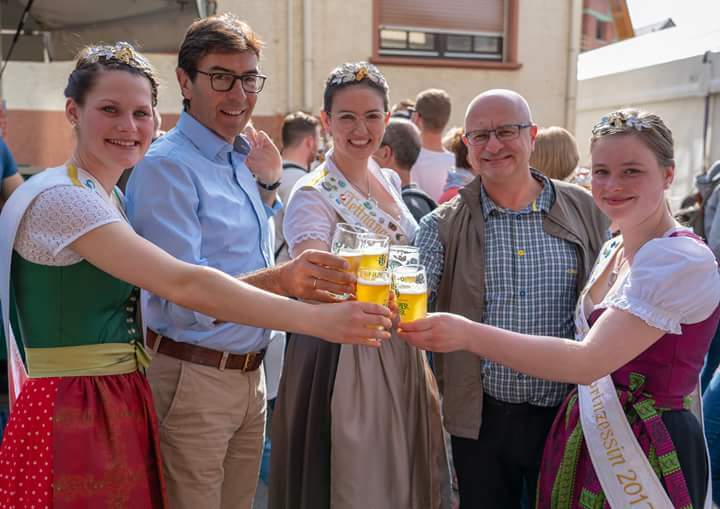 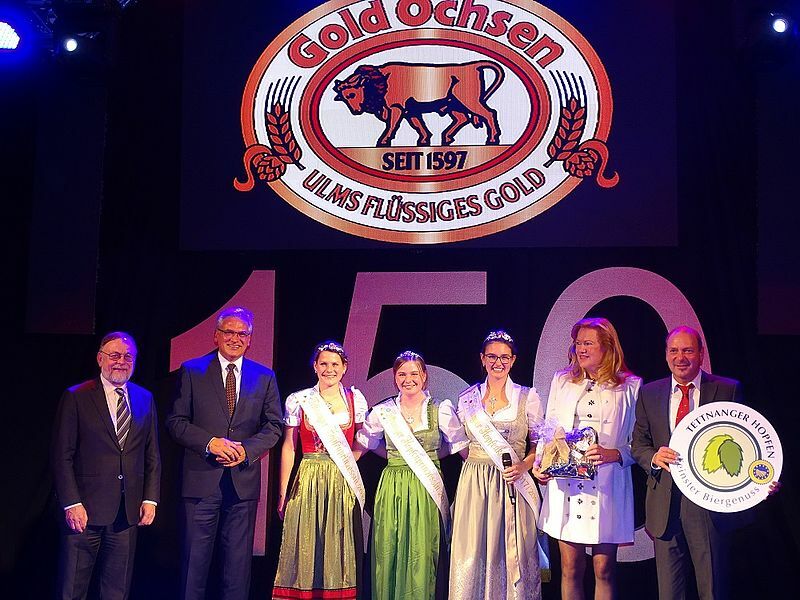 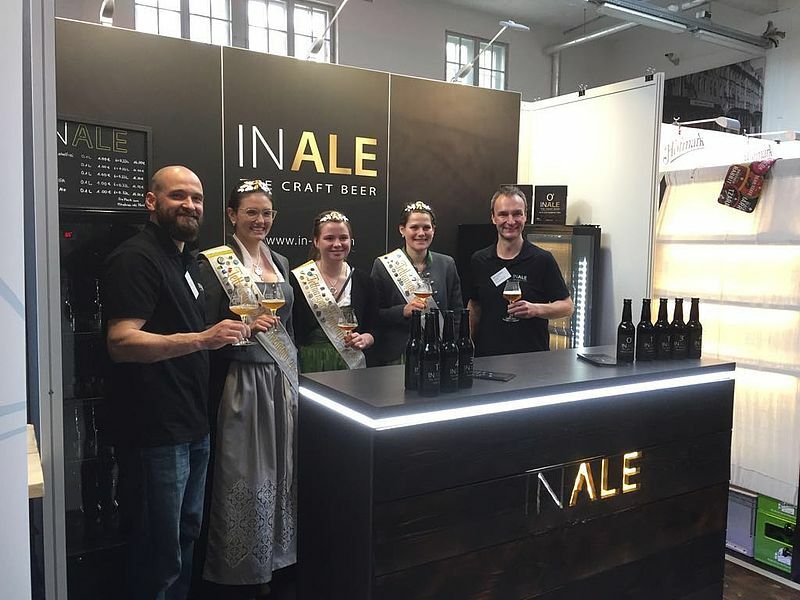 With charm, professional knowledge and enormous commitment, they represent Tettnang hops and the hop town of Tettnang both nationally and internationally at breweries and trade fairs as well as on other occasions. 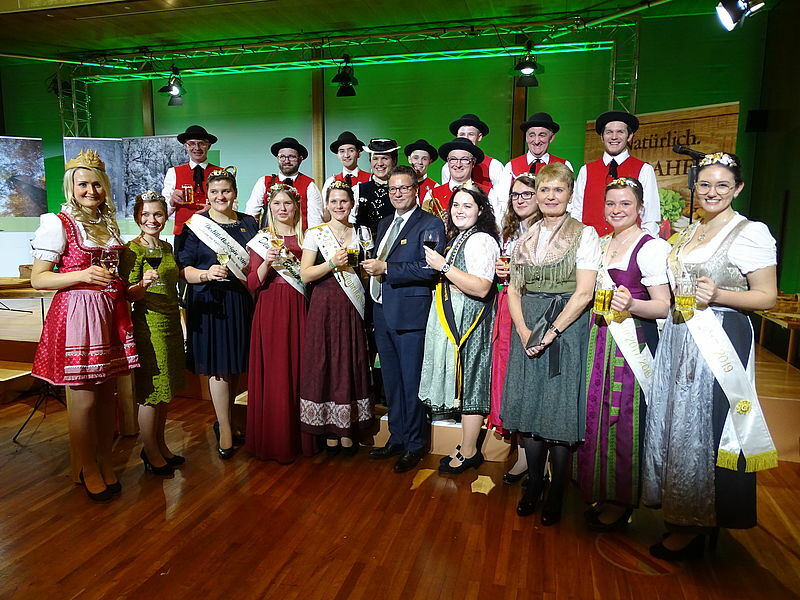 Please direct any enquiries concerning appearances and events to the business offices of the Tettnang Hop Growers’ Association.